The Big Merge has arrived, but it's only just begun. Ever more CRE brands are itching to dip their feet in the flexible workspace market, but many waste a lot of time, money, and energy trying to do so. Here, I outline how corporate real estate firms can more easily enter the coworking market and earn a lot of respect from industry incumbents in the process. A while back I wrote an article called The Big Merge: Coworking & Corporate Real Estate about the emerging trend of CRE expanding into flexible workspace and coworking. And since then, I continue to receive emails from large would-be founders and investors asking about building flexible workspace brands. 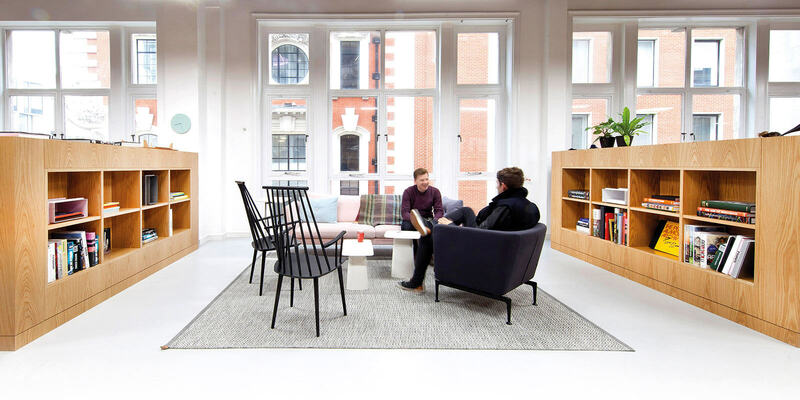 Typically they have existing assets that they are interested in shifting over to the flexible workspace market or they are interested in developing a new property with coworking at its core. Either way, they want to play ball. I’d like to tackle the opportunity of fixing these mistakes one by one. Bespoke, a fashion & retail focused coworking space inside the Westfield Mall in San Francisco is a wonderful example of CRE coworking done right. I understand that at many large firms, there is a need for piles of research and perhaps several focus groups before considering a move into a new sector. When you’re managing billions of dollars in assets, this makes a lot of sense. You really can’t afford to be wrong. But once you’ve decided to hop into the flexible workspace market, this approach won’t do you nearly as much good as would working alongside an industry expert or two. That is the approach our friends at St. Oberholz advocate. And their clients are taking full advantage to good effect. 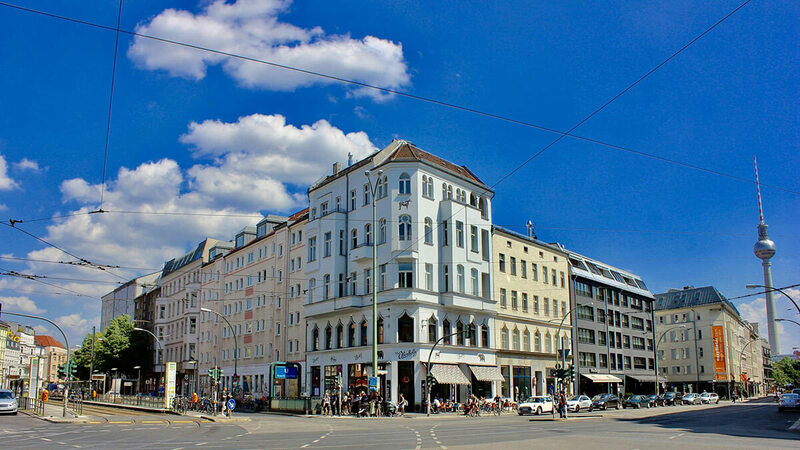 St. Oberholz offers bonafide flexible workspace consulting for CREs and corporate players that want to utilize this new model for their own purposes. They charge a per-square-foot rate, build up the space over a year, including hiring and training, and then hand it back as if it had just popped into existence. That’s a very enticing proposition for many CREs. So my question is, why would a CRE firm go it alone when there are experts in the field willing and able to help? Perhaps it’s not culturally kosher at your firm to work outside the box, but outside the box is where coworking was born. Moreover, many coworking spaces in existence today were built by industry veterans who’ve been highly-successful at running coworking and flexible workspace brands for 5-10 years. They have the ultimate credentials because they’ve done it. And then helped others succeed too. Identify them via their in-person presence at conferences and online. When in doubt, ask around; coworking people are incredibly generous with their praise. Give them an exciting project to work on. Coworking industry experts are like many other people when it comes to incentives. They like exciting work and being paid what they are worth. And this is where your advantage comes into play. Most coworking people are notoriously underpaid, so getting them in your court should be easier than you think. And I see it happening all the time. I know several close friends who've left their underperforming indie spaces to take lucrative and more important roles with larger brands. So whether it be your first and most crucial hire who will run your project or a consultancy type deal, work with industry experts. Don’t go it alone. Outside the incredibly popular St. Oberholz on Rostenthaller Platz in Berlin, DE. At Habu, we've been doing a video interview series with coworking leaders around the world, and I almost always ask my interviewees one insightful question at the end. That question is: "what's one important thing you would do differently if you were starting all over again in your coworking career?" The answers often astound and inspire me with how useful and straightforward they are. For example, Tobias Kremkau of St. Oberholz told me that if he could go back in time, he wouldn't do exclusive deals with members because it becomes a nightmare to manage as you scale, which makes a lot of sense. It's not a complicated insight, but when you're new in the industry, you don't realize that you're in a pickle until it's too late. That is why, when it comes to hiring your team, there's no substitute for somebody who's run a flexible workspace in the past. Those with prior coworking space experience, whether as a Director, Community Manager, Event Manager or otherwise, have already been through the fire. They know the mistakes to avoid and have a lot of insights that will help your new brand get off the ground much faster. I've been to many new spaces that would fall more into the CRE category. Many of these spaces decided to hire somebody with a specific resume and traditional credentials, whether it be from the hospitality industry or elsewhere. What I notice is that many hires like these aren’t the right fit for the role. They're often too corporate, too polite, too organized, and they don't connect with members on the right level. Now, I understand that may be what you think you want, but it’s not what your customers want. If you're aiming to open a coworking or flexible workspace brand, by its very nature, it usually must be more casual. That means you need to hire for personality as much as, if not more than you do for credentials. That may fly in the face of what you’re used to. The best coworking team members often have a mashup of skills that make them just good enough at a little bit of everything to be effective. They usually don't have traditional backgrounds in work or education. While many do come from the hospitality, service, or events industry, it was their personality that drove them into coworking, not their credentials or skill sets. My advice here is to look for the best people in the industry and do what you can to get them onboard with your brand. As the competition in this industry is increasing rapidly, you need to stack the deck in your favor. And experienced people is the best way to do that. It may be tempting to repurpose the style and ethos of real estate advertising for your new flexible workspace brand, but this is a disaster. Coworking spaces are about experiences, not about square feet or amenities. And advertising to potential coworking members, or "tenants" as they are often referred to in your circles, works entirely differently than it does in the real estate world. But if you've been paying attention, you'll notice that even the real estate industry is changing in this regard. Many real estate professionals are doing incredibly well on new media channels like Instagram Stories, Snapchat, and YouTube. In general, the people you want to attract to your new flexible workspace brand are younger, into new media, earlier in their careers, and they value experiences over things. This is the modern workforce, and I'm sure the studies you've conducted will echo this generalization. That means you must avoid corporate-looking marketing assets and learn how to use new media effectively. Hire an influencer that knows how to properly promote and create great content using Instagram Stories, podcasts, YouTube, Facebook Groups, and more. Hire content creators to build a brand presence online for your new workspace. And let them drive creative. They know what they're doing, so don't block them with excessive hierarchy and approval-seeking. An example that may be useful and feel relatable is Spaces. As you know, Spaces is a Regus brand. That's about as corporate as you can get for flexible workspace. However, I'm incredibly impressed by what they are doing on their social media channels, especially Instagram. Their posts still look a little like stock photos, so they could use some work there, but overall the content is terrific to thumb through. It's modern and professional, yet hip as well, plus they effectively show their brand. Inside a Spaces location on Oxford Street in London, UK. Attend industry events and participate in the culture. Just as the real-estate world has it’s events, so too does the coworking world. The main reason to attend coworking conferences and events, large or small, is all about meeting the best people. If you want to get to know the top minds in coworking, you have to attend industry events, and they're happening all over the world, large and small. We've attended large events like Coworking Europe and CU Asia over the years, as well as GCUC. However, on my own, I've also attended smaller conferences in Hungary, Germany, Bulgaria, and Spain. The advantage of working with and attending smaller conferences is that there's less competition for your attention. You can focus on fewer people and explore local markets far more effectively than at large international conferences. These events and conferences are also one of the best places to meet top talent and prospective partners for your new brand. Additionally, while the content can be a bit repetitive at times, it does change in response to industry trends and the things people on the ground are noticing. So it can be a great way to jumpstart your flexible workspace know-how. Overall, the main reason I attend conferences is meeting other people in the coworking world. There's just no substitute for in-person connection. Coworking Europe 2017 in Brussels, BE. This annual gathering attracts several hundred coworking operators from all over the world. Work with incumbents, not against them. One of the biggest reasons CRE and large coworking players have got a bad rap in the coworking industry is that they traditionally haven’t played well with others. Aggressive marketing tactics (such as WeWork allegedly parking employees outside a competitor's space and offering six months of free rent to move spaces) make incumbents angry. This type of behavior creates a divide in the industry, and from an economic perspective, this is a net negative. Plus, a massive portion of coworking members are independent freelancers and professionals who resonate with the brands and ethos of indie spaces. These folks are often on the side of independent spaces in the battle for members. We're simply in an era where big and anonymous is not popular. So the best thing you can do is to make yourself feel smaller, get more connected, and be more cooperative. If you do this in a genuine way, one that’s not incessantly or overtly about your own goals and bottom line, you will be embraced by the industry incumbents. They will be interested in working with you on local workspace alliances and events. Members notice things like that. And when they move to a new city, a new neighborhood or their favorite space closes down, you'll be on their list as a top choice for their new workspace. "Remember Space Brand X that always co-hosted those parties?," or "I work from Space Y because they offered our community a new home when our coworking space closed. They even worked with the founders to try and prevent it from going under. They're good people." Big is not necessarily bad, but it's the attitude that often comes with being big that pits CRE coworking and independent spaces against one another. If you change your attitude and approach toward local competition, you can be an industry leader. And industry leaders are disproportionately more successful than followers. Working with the existing industry is the path less trodden, which means there's massive upside in doing so. You'll stand out from other CRE brands launching flexible workspaces, plus you'll have the potential to replace the negative paradigm created by WeWork and similar brands.